Books are companions during specific seasons of life. As I look back over the past decade of top 10 “favorite reads,” I can see myself in particular locations reading these books: the hospital room, the bus, on the living room couch, in my home library, by the nightstand, or on a plane. The books link up with particular moments in life also. So, here’s hoping that my 2017 list of “favorite reads” will provide a few titles that will become companions to you in your own journey next year. (If you’re looking for good book recommendations, feel free to peruse my selections in previous years: 2016, 2015, 2014, 2013, 2012, 2011, 2010, 2009, 2008, 2007, 2006, as well as my Hubworthy page of “Essential” recommendations). Here are my picks for 2017. #1. 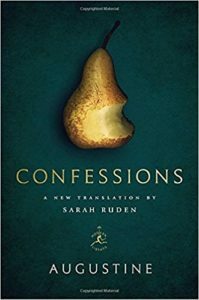 CONFESSIONS Augustine, new translation by Sarah Ruden If you haven’t read Augustine’s Confessions, do yourself a favor and pick up this new translation by Sarah Ruden. Spend a few weeks working slowly through the text. You’ll encounter one of the greatest minds in Christian history and be challenged by his passionate desire to know and love the One who loves. Read my fuller review with multiple quotes from this translation here. #3. 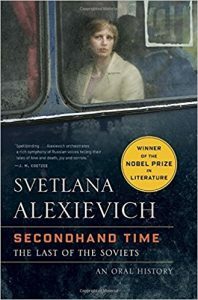 SECONDHAND TIME The Last of the Soviets Svetlana Alexievich (translated by Bela Shayevich) This collection of oral histories from people who lived through the fall and aftermath of Communism is riveting from start to finish as it plumbs the depths of the human soul in all its beauty and depravity. The stories are as harrowing and disturbing as they are informative. 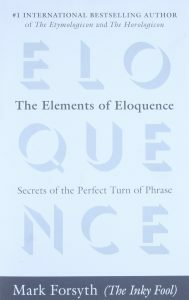 I will be pondering this book for a long time. #4. 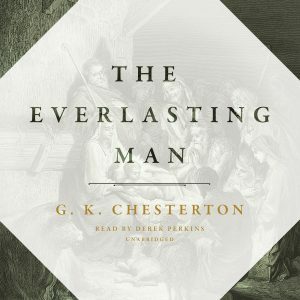 THE EVERLASTING MAN G. K. Chesterton C. S. Lewis called this the greatest apologetic in the English language. It’s more than a defense of Christianity though; it’s a journey through world history that shows how the meaning of the world is unlocked in Jesus Christ. #5. 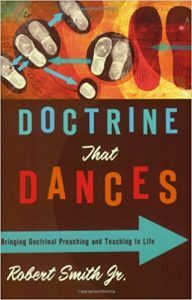 DOCTRINE THAT DANCES Bringing Doctrinal Preaching and Teaching to Life Robert Smith This year, I began serving my church as teaching pastor. I was responsible for preaching 40 weeks this year. I spent some time with some books on preaching early on, and this one stood out to me as the one that most inspired and energized me for the task of being a solid and engaging expositor. Thank you, Dr. Smith. 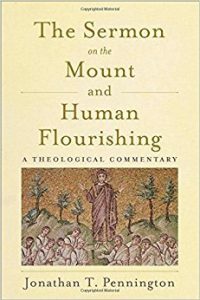 I took Pennington’s class on the Sermon on the Mount nearly ten years ago when I was working on my MDiv at Southern Seminary. It was one of my favorite courses during seminary. For years, I’ve been waiting for all of those classroom insights and the best of Pennington’s subsequent study of the sermon to make their way into a book. Finally, it’s here. And it doesn’t disappoint. #7. 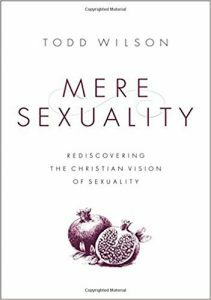 MERE SEXUALITY Rediscovering the Christian Vision of Sexuality Todd Wilson Hands down one of the best books I read this year. An accessible, engaging, and compassionate explanation of why the Christian vision of sexual complementarity is good and beautiful. Wilson interacts graciously with opposing perspectives, while setting current debates in the larger vision of sexuality’s ultimate goal. #8. 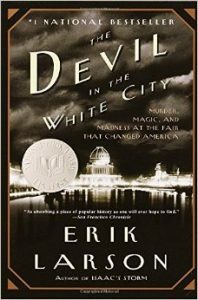 THE DEVIL IN THE WHITE CITY Murder, Madness, and Magic at the Fair that Changed America Erik Larson For years, I’d seen people recommend this book. I picked it up on a whim and decided to start it on a Sunday afternoon. I couldn’t put it down. Larson is a terrific storyteller. I read two other books by him this year also, but this one remained my favorite. #9. AMERICA IN THE KING YEARS (THE TAYLOR BRANCH TRILOGY) Parting the Waters, Pillar of Fire, At Canaan’s Edge Taylor Branch I know I’m cheating a little here to be including three books as one, but I can’t recommend one of these apart from the other three. If you read these books next year, you will have a much more expansive view of the Civil Rights Era and will understand some of the sources of our continuing racial turmoil. Not to be missed. #10. 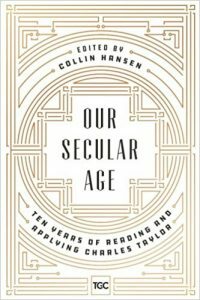 OUR SECULAR AGE Ten Years of Reading and Applying Charles Taylor edited by Collin Hansen Easily one of the best books I read this year. Here is wisdom from Taylor, received with appreciation and appropriate criticism, with application for Christians on mission in North America in the 21st century. 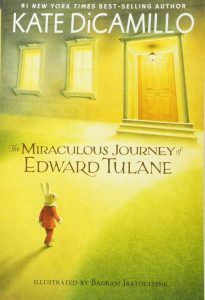 Honorable Mention The Miraculous Journey of Edward Tulane Kate DiCamillo I generally don’t include children’s books on this list, but I started reading this book out loud to my nine-year-old daughter one evening, and we both were so enveloped in the story that we read for two hours straight until we finished the book. Beautiful storytelling, well-developed characters, a journey through grace into newness. It wouldn’t be a stretch, actually, to say that this experience with my daughter was my “favorite read” of the year.